Finding yourself busy and on-the-go as you're getting through work and school? Just for you, I am sharing my 4 key time-saver (also lifesaver) pieces for this season. Sometimes, there's just not enough time to stand in front of your closet, assembling outfits or even taking hours of shopping spree to get some new wardrobe. Soooo....I put together this simple on-the-go, chic city look using a lot of my summer pieces! Yes, fall/ autumn is great to recycle those summer pieces to up your style game. On trend and practical, scroll below to see the 4 key items and shop similar and more! Stay tuned for more trending F/W '17 pieces right here on FirstandSeven.com. I'll be posting more outfit ideas + fashion tips + recs over the weeks! (Just follow my FB & Instagram to stay up-to-date and get alerted for the new edits, eaasssyyy peeezzzyyy). 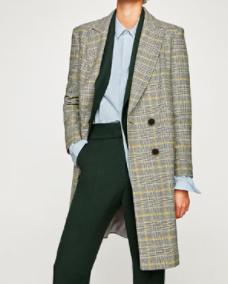 #1 MY DAILY PATTERNED COAT // I know it sounds heavy with coat, but this seasons, you'll find a variety of light-weight coats and trenches that'll up your style game and keep you looking fab and fresh. Opt for Black and White, Brown and Red, and Grey tones (and even slight tones of yellow). 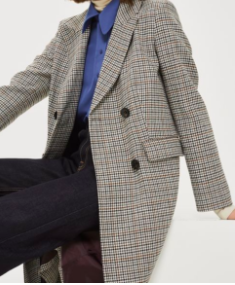 These are the trench coats you want to be on the look out for. 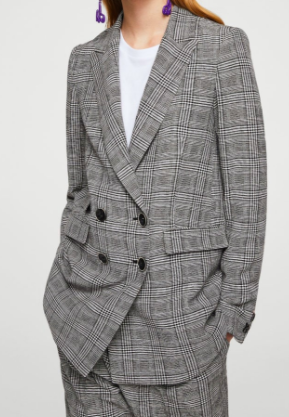 Bonus, these 80s coats are designed to be wide and large, hence the comfy factor! Shop the trending trench coats + trench blazers here! 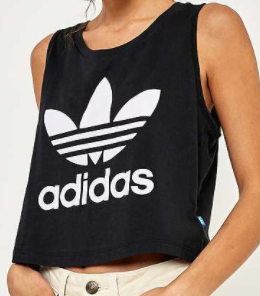 #2 CROP TOP // I know, say what? 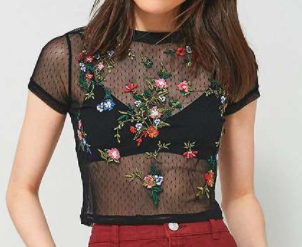 Fall and crop top? Yes. This is one of the best ways to recycle wear your summer pieces. With high waisted denim jeans / skirt keeping your tummy warm, the crop tops keep the cool circulating throughout your day. No sweaty and uncomfortable feels underneath that coat. Plus, you still get to pull off your beautiful summer bod in the fall! Double whammy! Even better news? 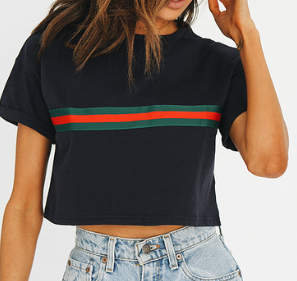 Crop tops are on major SALE right now across retail shops, so you'll definitely find good pieces at more than half the price if you're wanting some more for a bargain deal. Try to find floral and sheer ones (on trend). Have fun! #3 SILVER SHOES // No matter what style (booties, boots, loafers, sneakers, your dog's shoes), silver is THE color shoes for the season (next to red of course, see the previous post to shop the trending red boots). 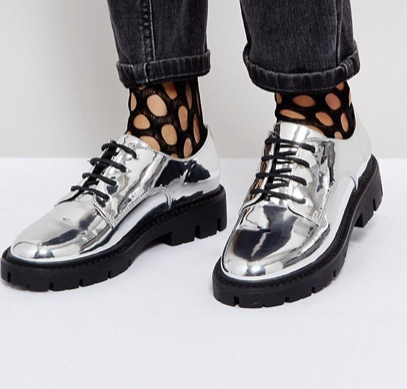 For a casual comfy and cozy look, I opted for these shiny silver platform shoes (see here). See how I worked these 4 combinations in one casual, chic way. #4 HIGH WAISTED MOM JEANS // Comfy, chic and cool. What more can a girl ask for an easy daily wear? My favorites have been the BDG denim from Urban Outfitters. The jeans fits perfectly around the waist and buttocks area while keeping your form, so no saggy jeans around here! Here, I opted to pair my denim with my crop top to give a cool, daily look and added my silver shoes for some shine of course. Grand finale, the trench to keep things fresh and chic. Easy right?